With a stay at Dizengoff Inn in Tel Aviv, you'll be within a 5-minute drive of Gordon Beach and Dizengoff Centre. With a stay at Amirim Atmosphere in Amirim, you'll be 11.5 mi (18.6 km) from Ziv Medical Center and 11.6 mi (18.7 km) from Otzar Hastam of Tzfat. Free self parking is available onsite. 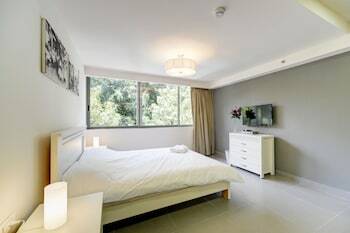 A stay at TLV Bauhaus Apartments places you in the heart of Tel Aviv, within a 5-minute walk of Carmel Market and Nachalat Benyamin Crafts Fair. Sweet Inn Apartments - Old Jaffa-Beach Area offers accommodations throughout the area in Tel Aviv. Featured amenities include a 24-hour front desk, luggage storage, and laundry facilities.